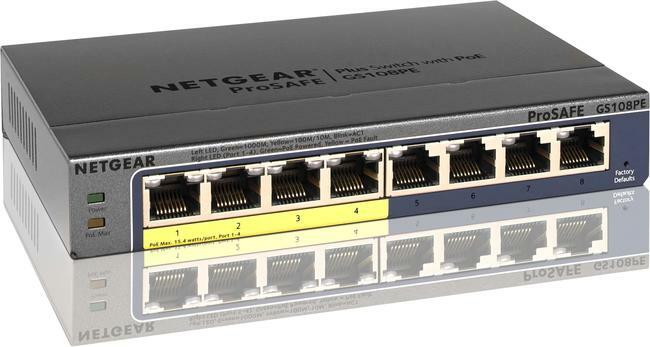 We stock a selection of the most popular Netgear ProSAFE swiches. These include various PoE models that are ideal for powering IP phones and IP Door entry systems via the network. Models include both Fast Ethernet and Gigabit switches and either managed or unmanaged models. If there are any additional models you regularly require that are not listed please let us have details and we will look in to adding them to our range of stock items. * Power supply have a 2 year warranty. Switch warranty will be handled by manufacturer after 2 years of purchase.